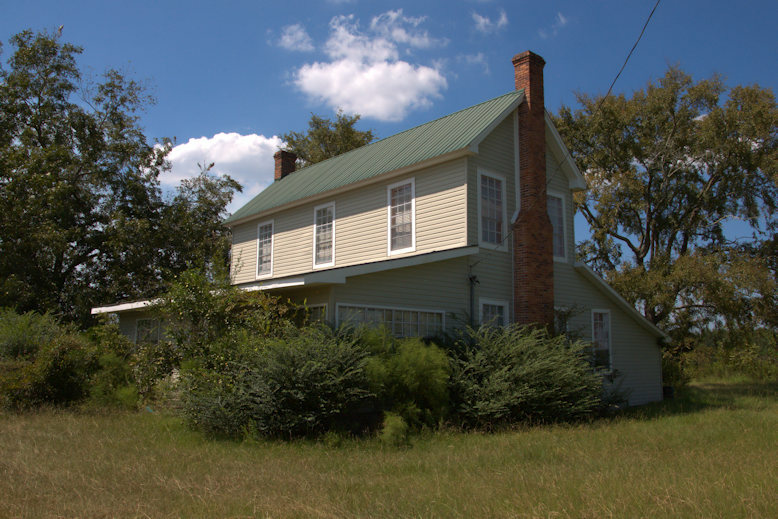 Though its appearance has been altered by the addition of shed rooms and vinyl siding, this is among the oldest houses in Jeff Davis County. The date of construction is unclear but is thought to be just prior to or just after the Civil War. 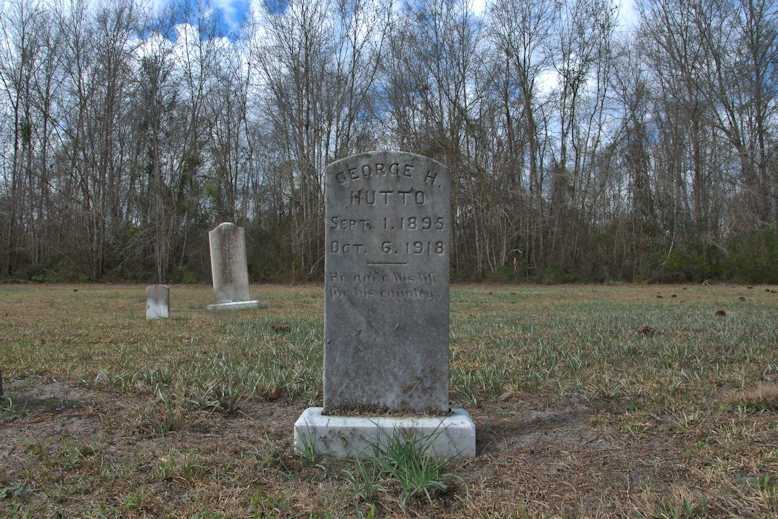 Wyley J. Byrd (1825-1908) was a pioneer settler in the section of Coffee County that is now the Snipesville community of Jeff Davis County. 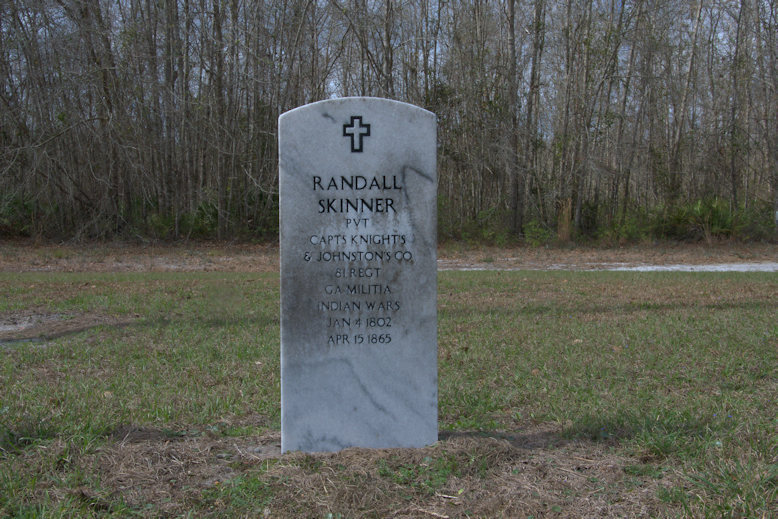 He was the patriarch of a huge family (he had 20 children with two wives) who were very involved in the community, donating land for construction of the nearby Mount Pleasant Baptist Church in 1878. Thanks to Michael Ellis for sharing the location and the vintage photograph of Mr. Byrd and some of his children. 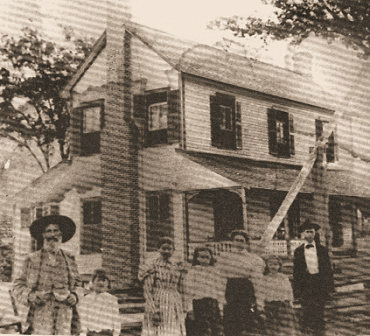 The photo probably dates to the 1890s and shows Victorian porch posts, a common “improvement” to Plantation Plain houses in that era. Mr. Ellis writes: ...this was “The Home Place” in my early childhood. My maternal grandparents lived there from sometime in the late 1930s until 1956-1957. I had a ball around there as a young child, until we relocated to Opa Locka, Florida. 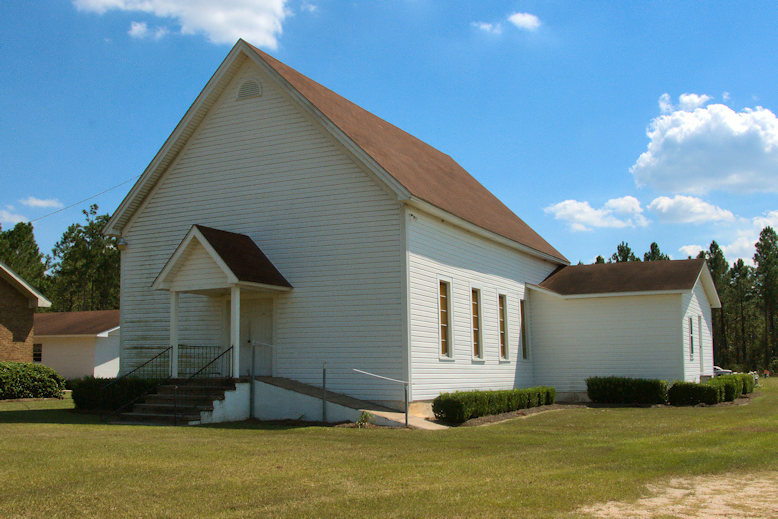 Mount Pleasant was organized in 1820 and is among the oldest congregations in Jeff Davis County. 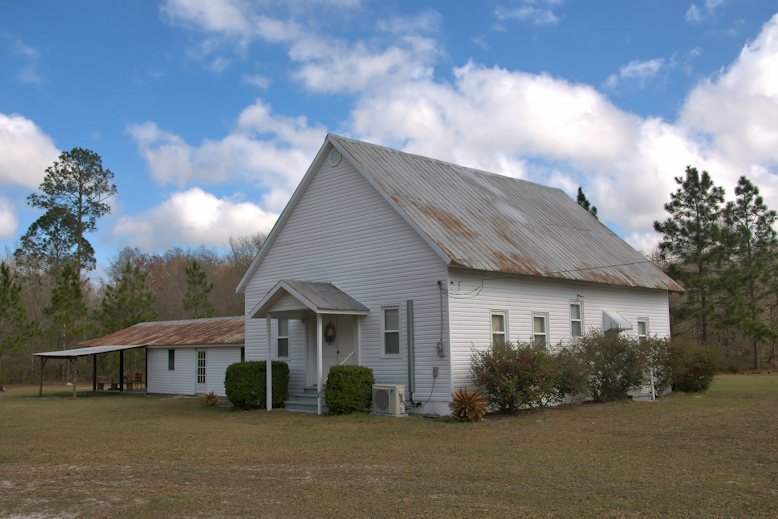 This structure, built on land given by the Byrd family circa 1878, was used until a newer structure was built next door in 1989. 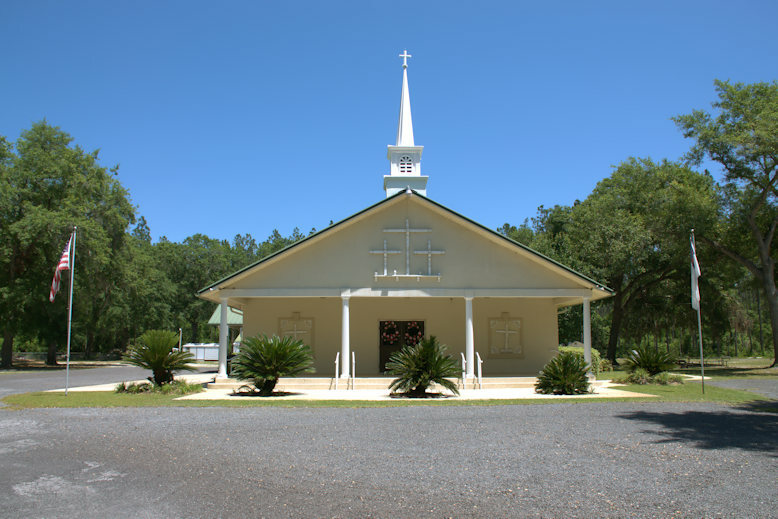 It is sometimes referred to as Byrd Church. 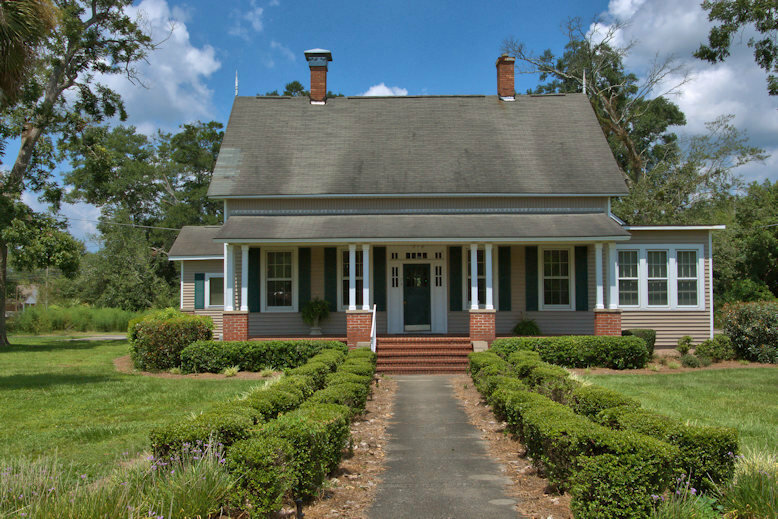 This home was built by Reverend Jesse Goodman. Thanks to Kenneth Dixon for the identification; Reverend Goodman was his 6th great uncle. 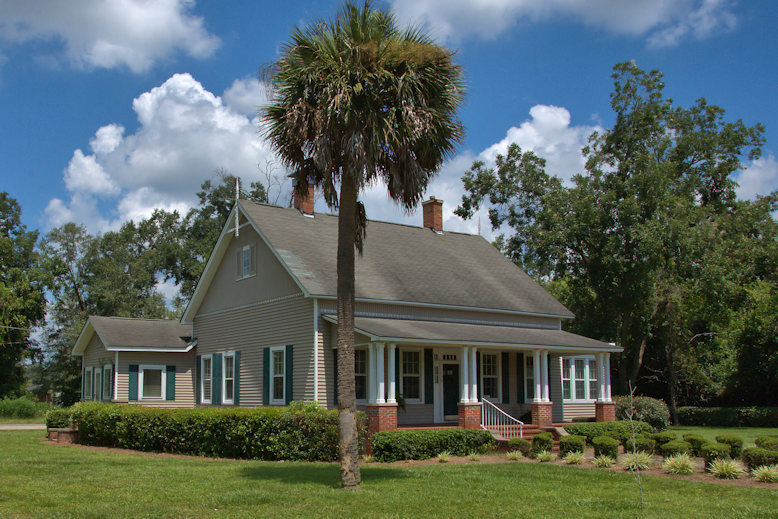 Willis Clary established what would become Jesup at Station Number 6 on the Atlantic & Gulf Railroad line in early 1869. He paid to have the town surveyed and built this house on City Lot #1, presumably around the time the survey was done. Clary would serve as Jesup’s first mayor. 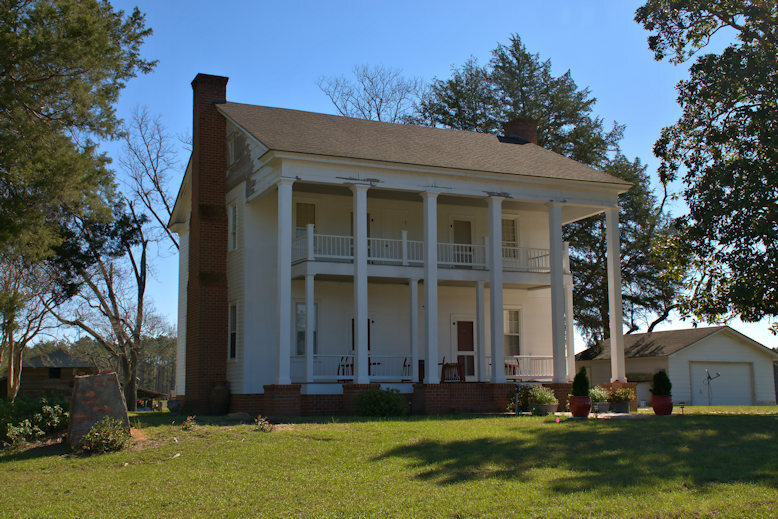 As he and wife Lucinda Hall Lee had no children of their own, his stepdaughter, Georgia Lee Whaley, eventually inherited the home. It appears to have originated as a simple central hallway structure. Expanded over the years, it’s presently used as an office. 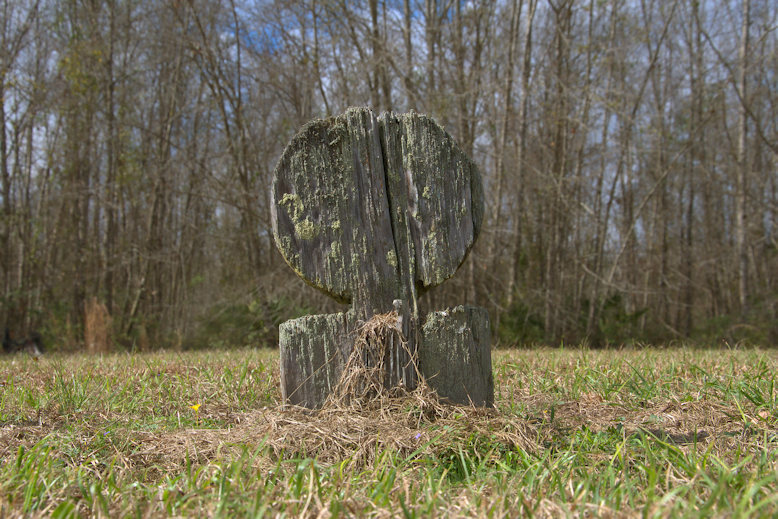 Adjacent to Moniac Baptist Church is the historic Canaday Cemetery, established in 1830. 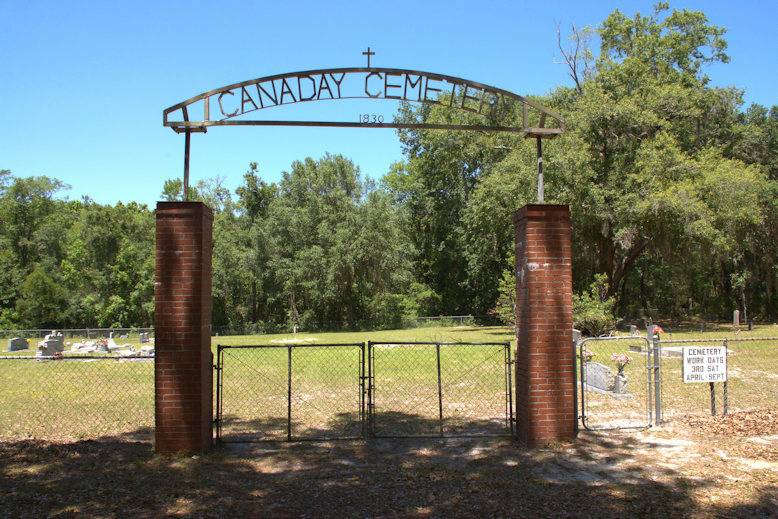 Notably, it’s the final resting place of Missouri Powell Canaday, the sister of the Seminole chieftain Osceola. Many of the pioneers of this section were assimilated Native Americans. Abraham Darlington Eason (1816-1887) was the youngest son of William Eason, who founded the first Methodist church (Mt. Carmel) in Tattnall County after migrating from Colleton County, South Carolina. Abraham married Susan Tillman (1827-1907) in 1843. 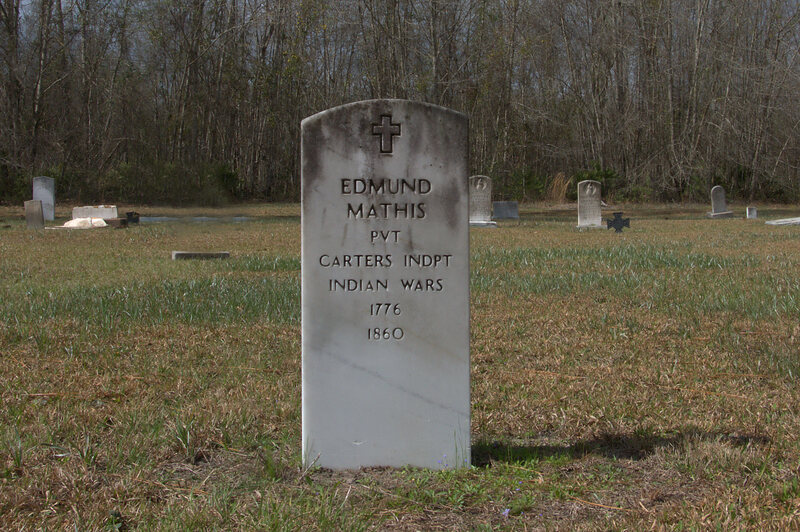 The young coupled settled near the Tillman ferry operation on the Canoochee River, in what is now the community of Undine. They first built a log house. Abraham was very industrious and deeply involved in the community, serving in the state house, as justice of the Inferior Court and tax collector and receiver. In just a few years he had acquired over 5500 acres, which he doubled with the purchase of his father-in-law’s estate in 1851. 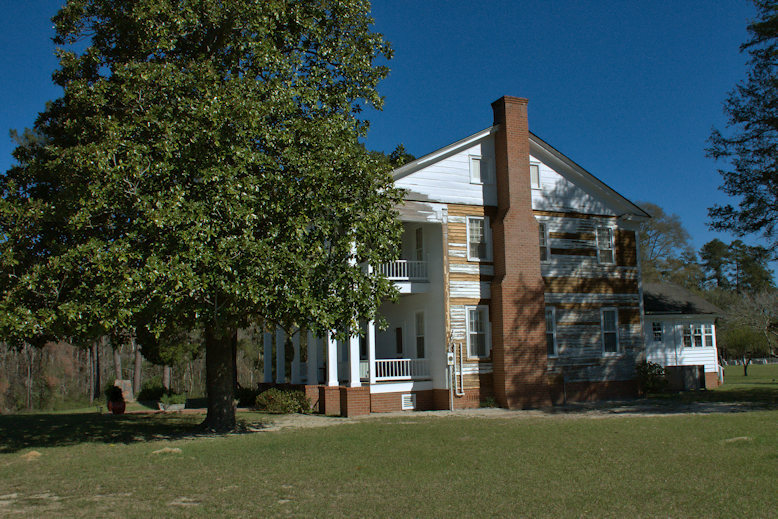 (This historical background comes from the excellent work of Pharris DeLoach Johnson, Houses of Heart Pine: A Survey of the Antebellum Architecture of Evans County, Georgia). 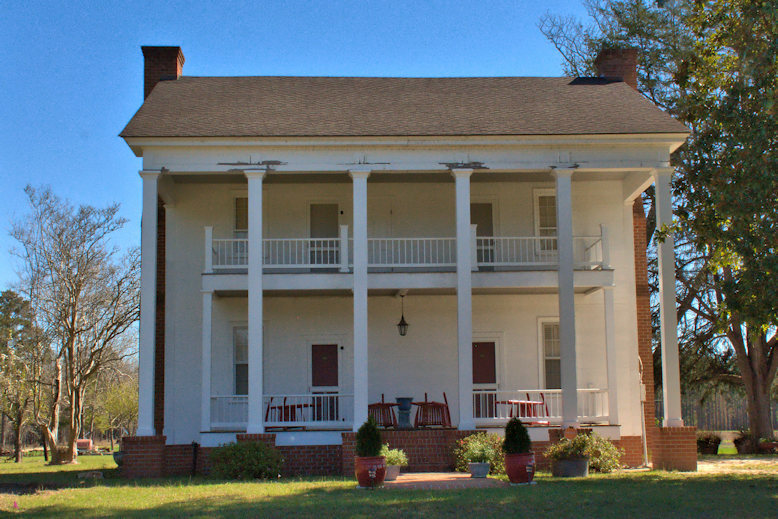 In 1854, Eason began acquiring materials for the construction of a permanent home to replace the log cabin and in 1856 hired Amos Hearn, a local carpenter, to complete the project. 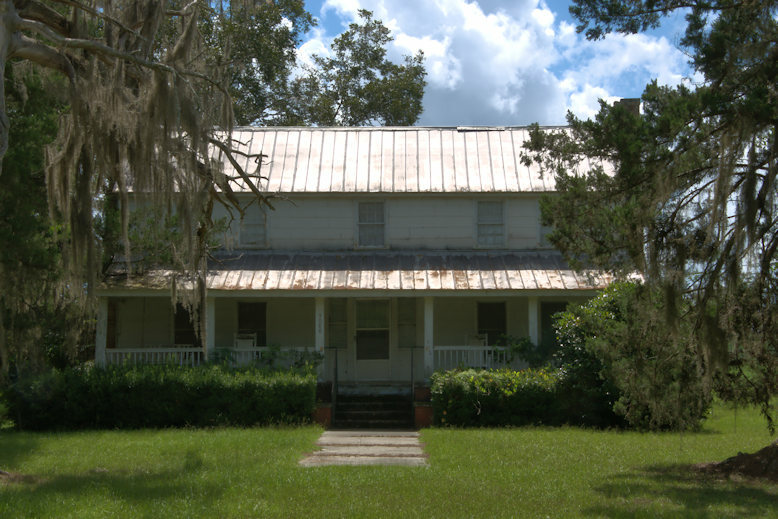 As with nearly all large Southern houses of the era, slaves were likely integral to the construction process. The family still owns many of the detailed ledgers A. D. kept during construction of the house. Meticulous attention is being afforded the restoration of the house. I spoke at great length with the present owner’s (Paul Eason) son, Joey McCullough, about the process and the family is very committed to maintaining the integrity of this important landmark. 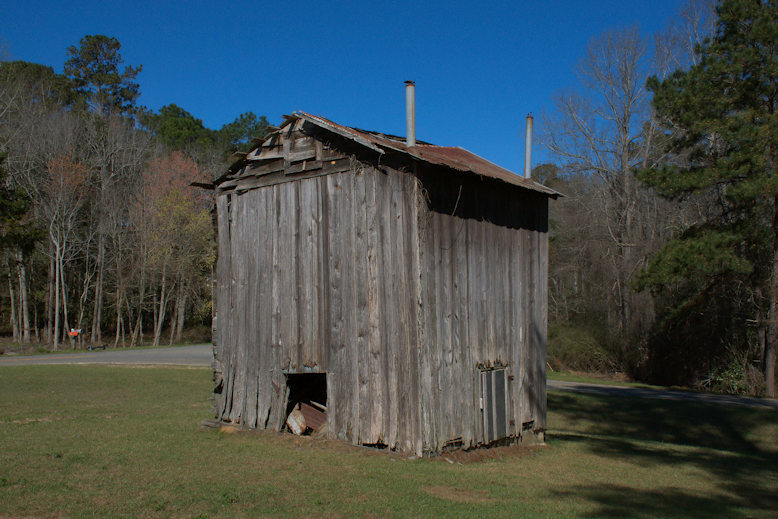 A tobacco barn built in the 1930s remains on the property. 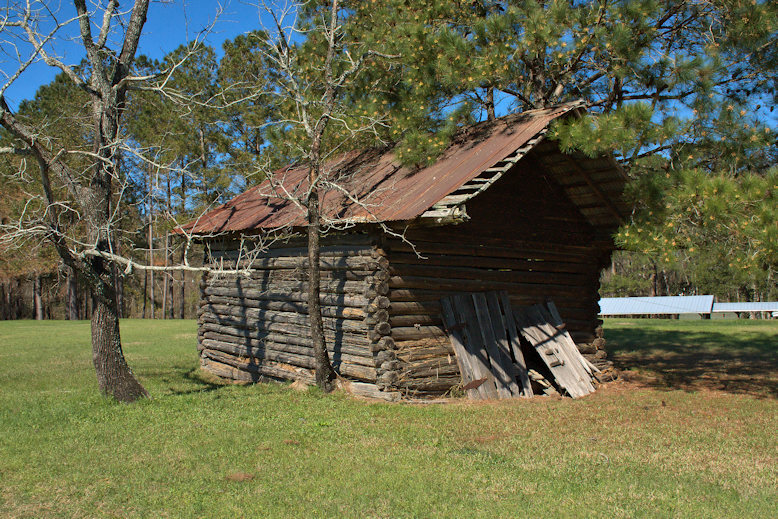 A log corn crib is present, as well, but the only thing holding it up are the trees that have grown up beside it. There are some nice older graves in the cemetery. I’m sharing a few examples. These were pioneers of Wiregrass Georgia. I always like finding these wooden markers. They were much more common in the past but many have been lost to the elements or replaced with more permanent markers. 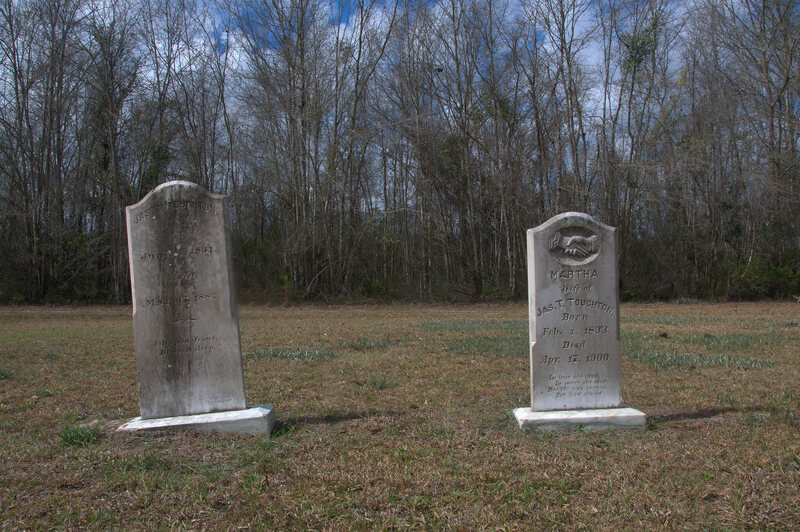 James T. (4 June 1831-17 March 1887) & Martha (1 February 1833-17 April 1900) Touchton. The stone of James is signed by the carvers, Wilcox & Lamance of Brunswick. George H. Hutto (1 September 1895-6 October 1918) He gave his life for his country.